Comments: Deciduous broadleaf native to Europe and central Asia. 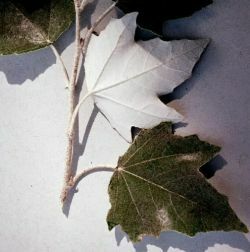 Leaves are dark green on the top surface but white on the bottom, and look somewhat like a 3" wide maple leaf. Roots are close to surface and suckers have formed (very typical for the species). 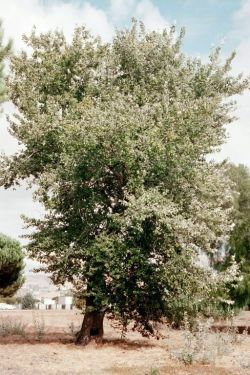 Mature trees to 40' tall. Can be distructive to foundation if planted too close to a building.